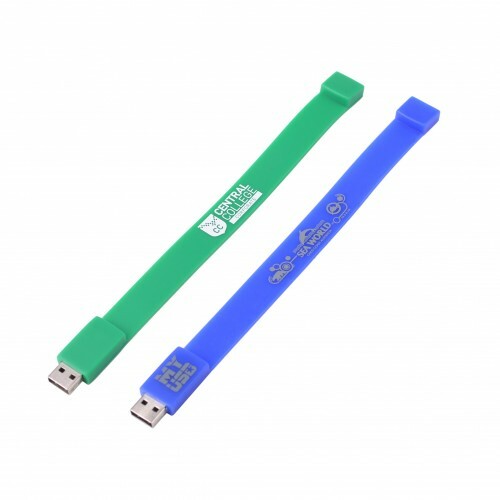 Promotional Wristband Flashdrives are the perfect option when your recipients need to keep their data close by at all times. 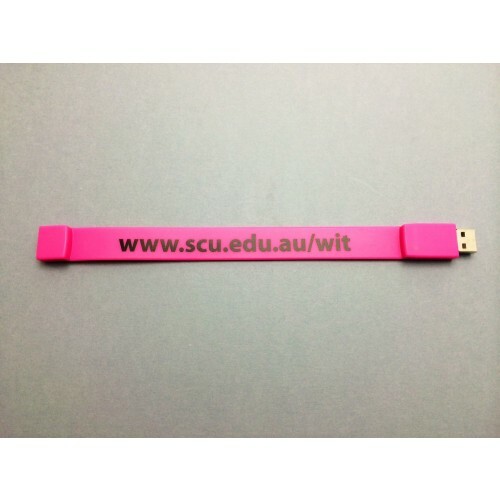 Our wristband USB units are made from silicone and due to their durability are popular with high school and university students, as well as attendees at promotional expos. 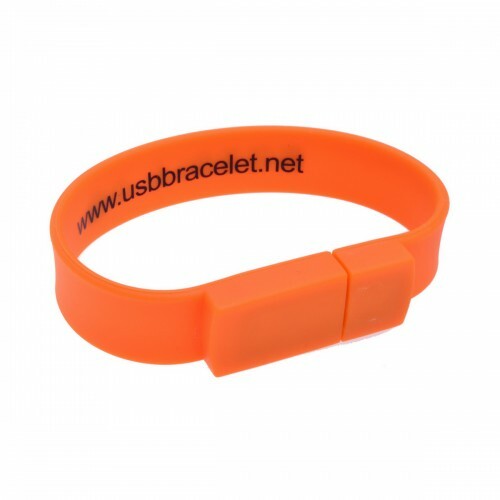 USB Planet brands each wristband flashdrive unit with your logo or design, ensuring that you enjoy brand recognition wherever your recipient goes! 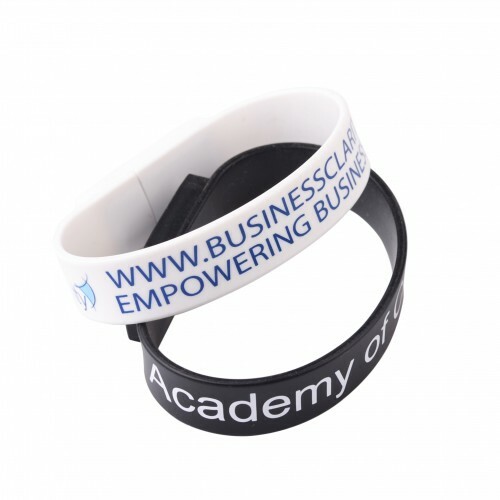 Our prices include a 1 position pad print in up to 3 solid colours as well as a print set up. 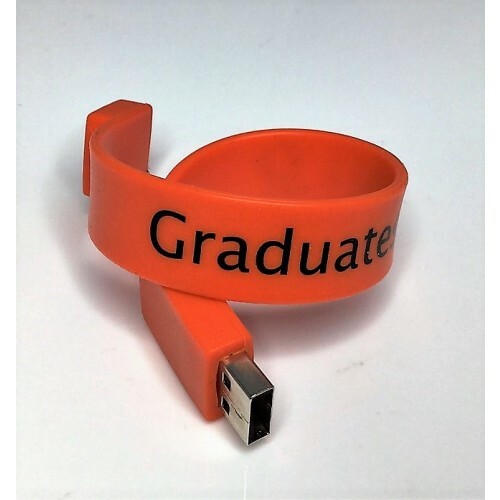 We can up also load data to your stylish fashion flash drive of up to 150MB free of charge. 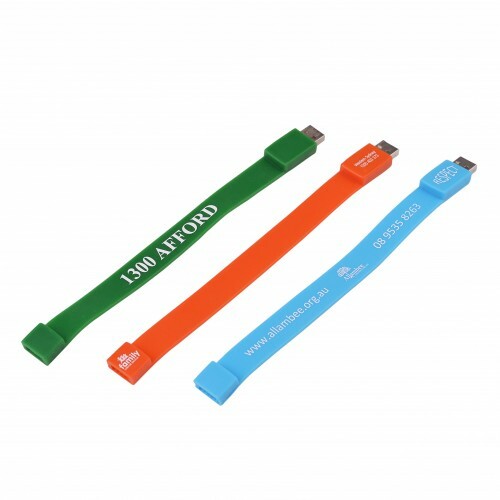 Additional data incurs a slightly additional charge, These printed flash drives are packed in individual polybags and you can request for optional accessories such as a magnetic gift box/ tin case/ PVC clear case/ mini lanyard/ long lanyard/ key ring and velvet pouch to spruce them up. 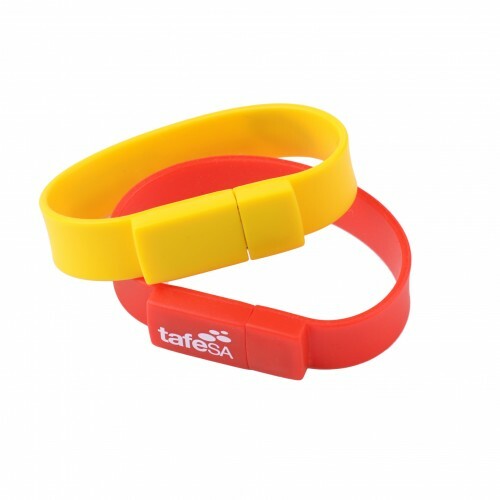 The Promotional Wristband Flash Drive is perfect if your market is the active and outdoorsy type. 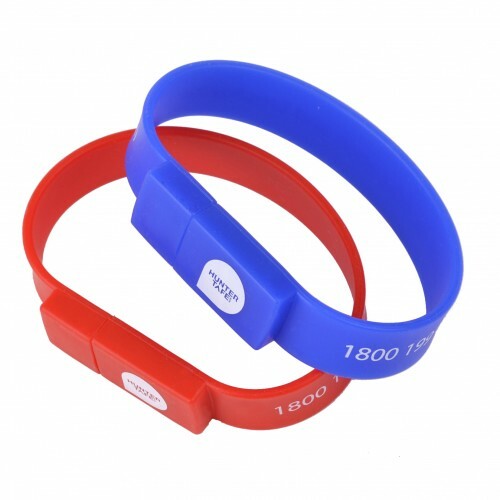 This promo item can double as an accessory as it is worn on the wrist. 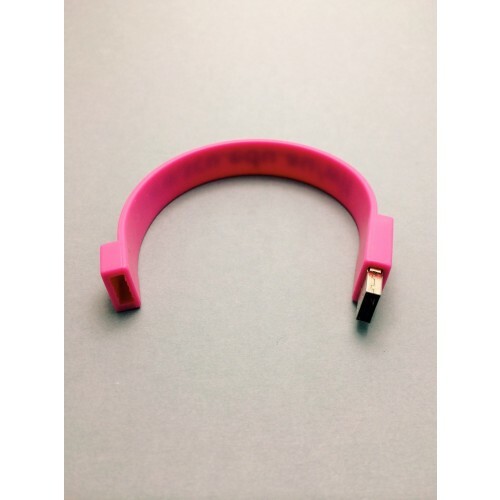 There is also little chance of losing this item as your customers will be wearing it. 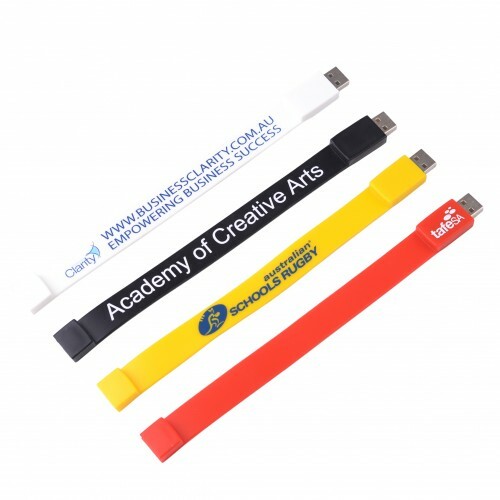 Give the friendly team at USB Planet a call today for your obligation free quote on these branded flashdrives. 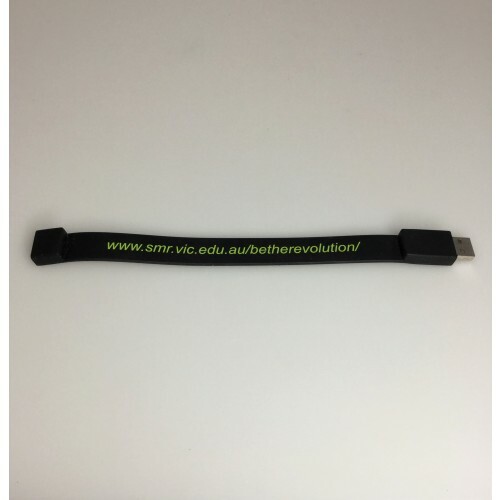 USBs take a standard 2 weeks to produce and deliver. Prices quoted are GST exclusive. Deliveries can be made to all states and territories including NSW VIC QLD ACT SA WA NT. 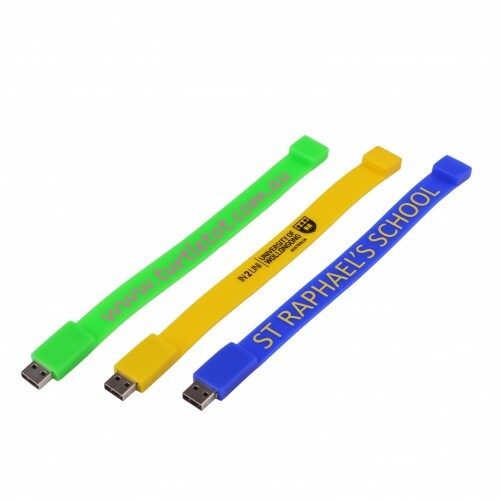 Standard colours available for Promotional Wristband Flashdrives include: red, black, orange, silver, blue, green and pink. We can also PMS match for orders of over 500+ units, just let our friendly sales team know that you are interested in this option upon enquiry.